Patrick Shaughnessy, Farr Yacht Design's president, and Keith Carew, design engineer at FYD, will be in attendance at the Düsseldorf International Boat Show from January 21 thru 22. Patrick & Keith will be available to discuss our new sailboat, powerboat, and superyacht design work, including our DSS foil-assisted Infiniti projects. Please contact Patrick and/or Keith directly in order to arrange a meeting. 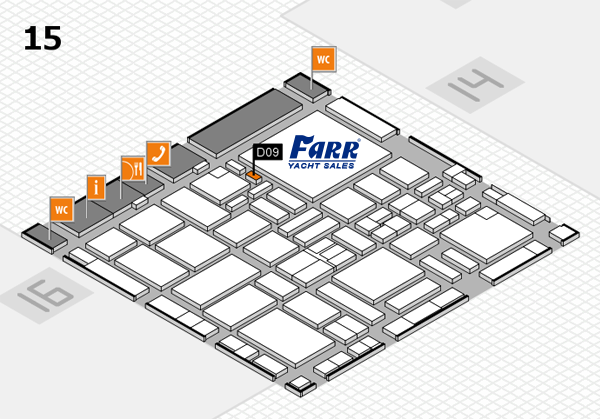 Farr Yacht Sales Europe will be presenting at the show. Joe Hall, head of FYS Europe, will be available to discuss the range of production yachts, brokerage yachts and upcoming concepts we offer. The booth is located in Hall 15, space D09. Contact Joe directly for questions.